Over the last couple of weeks keen followers of the service manual will have noticed a few changes to some of the guidance. Along with publishing pieces like the assisted digital action plan and the guidance on increasing digital take-up we've started revisiting everything we published since the beta and bringing it up to style. Besides which, the Github repo does a fairly good job of capturing that information for those who really wanted to know the details. We already link to that on every page of guidance in the manual. But in the process of getting the guidance written and fact-checked we didn't do the work we ought to have done to get it up to the standards of the GOV.UK style. With a few days perspective it became obvious that we really should have. It felt like a lot of different voices were offering guidance, and that appeared to be a bit confusing without the author name on each guide. So we enlisted the help of Louisa Harper, one of the content designers who's been doing the good work of Inside Government for the last few months. She's been going through everything with a fine-tooth comb. 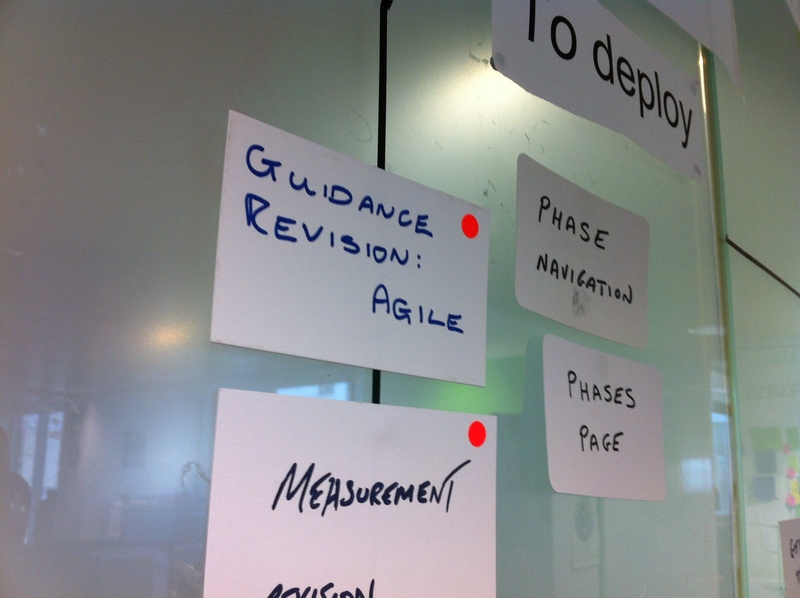 The first section to get the full treatment was the agile guidance, which we’ve released today. There’s also an open pull request with revised guidance about measurement, due to be merged next week. As Gareth said back in April, the guidance is a living document that will change over time. We know it isn't ever going to be 'finished', not least because we'll learn more and new things will be developed as we go along. But after releasing the beta we found people were often asking for information we'd already published, so we started working on tools like search and improving the navigation (more on that soon) to surface that better. Improving the copy itself is a natural part of that. We need to make all the guidance as clear as possible, so we can help people make better services quickly. It's also helped kick-start conversations about the content. We're going to leave revised guidance as open pull requests for about a week before merging them, giving people plenty of time to review it and start chatting about how to improve it. And, of course, all this means we spot more gaps and commission more content. 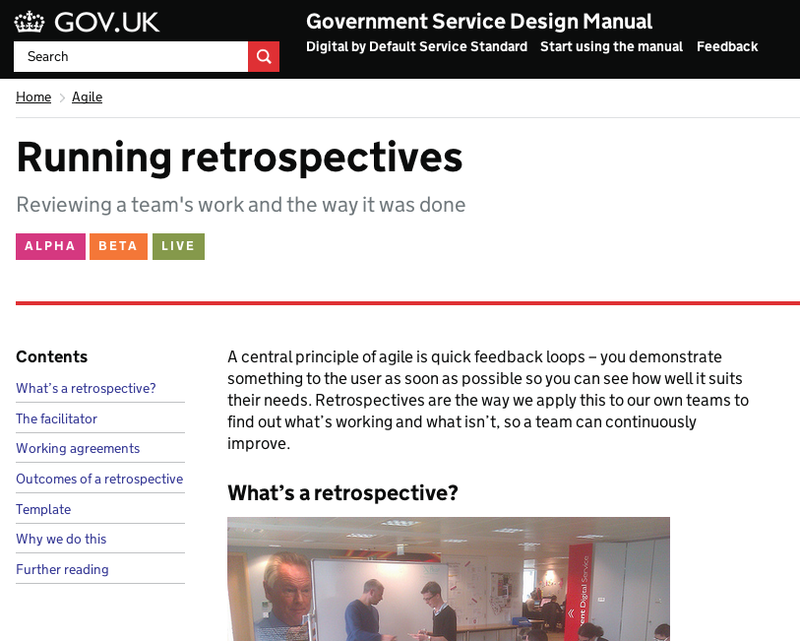 Every time we answer a question for one person we end up with a piece of guidance that benefits service managers and their teams all over government. If you want to get involved, keep an eye on the open pull requests on the Github repository or make a pull request of your own. And, as ever, if you spot errors and places for improvement just use the feedback form to get in touch.